Are you really set for the monsoons? Think again! We love the patter of rain, the earthy smell of soil and the cool breeze that this season brings along. However monsoon season also brings with it all over grey cast that can wear you down easily. Don’t let the dullness of monsoons dampen your spirit; prepare your home in advance to let you and your home enjoy this beautiful season. Here are some thoughtful tips to relieve you from the last minute hassle. 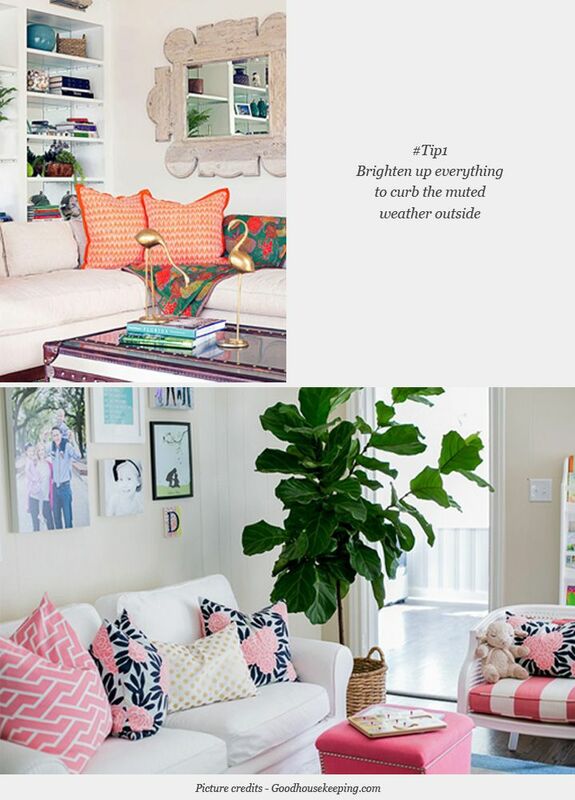 Using bright and fresh colours inside your home will maximize whatever light is entering your home. Moreover, save the greens for the outside environment and restrain from using whites and creams as these are difficult colours to manage during this muddy season. 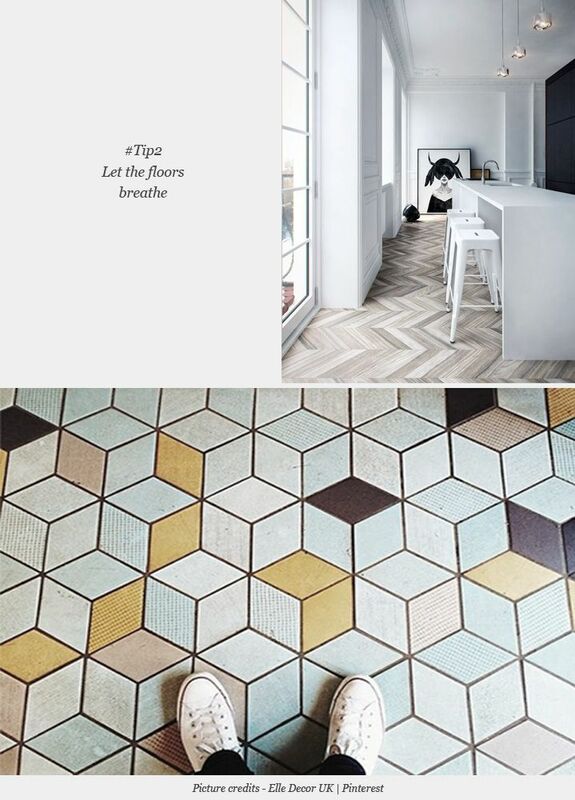 Opt for yellows, oranges, pinks and pastels to effortlessly sync your home with the weather and lighten up your mood. Roll away your beautiful and expensive carpets and make way for the classic marble and tile floors; plastic covers/ acrylic carpets come in handy for wooden floors. This will not only protect your carpets from the water spill but will also make your indoor spaces look different and new. 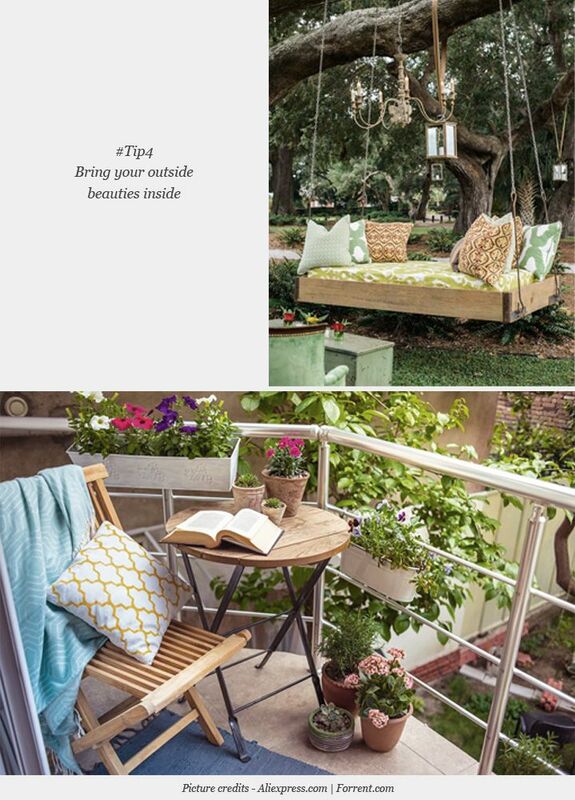 Indeed an inexpensive way to lend a new look to your personal spaces! Skip the drenching and enjoy this romantic season without stepping out! It is the perfect time to fold heavy drapes and incorporate sheer curtains to the windows. In addition to lending a suffused glow to your home; this trick will let you cherish the season from the comforts of your home while respecting your privacy. With the growing use of gardens and balconies as outer dining spaces; most of us own some elegant and trendy pieces that are only meant for such purposes. Prevent them from becoming subjects of heavy showers and vigorous downfalls by either bringing them inside or applying water-resistant coat on their surfaces. This will help you extend the product life and will avoid rotting or warping of the furniture pieces. Eye pleasing sights are just one element of this weather; mellow sounds and sea breezes are the other. 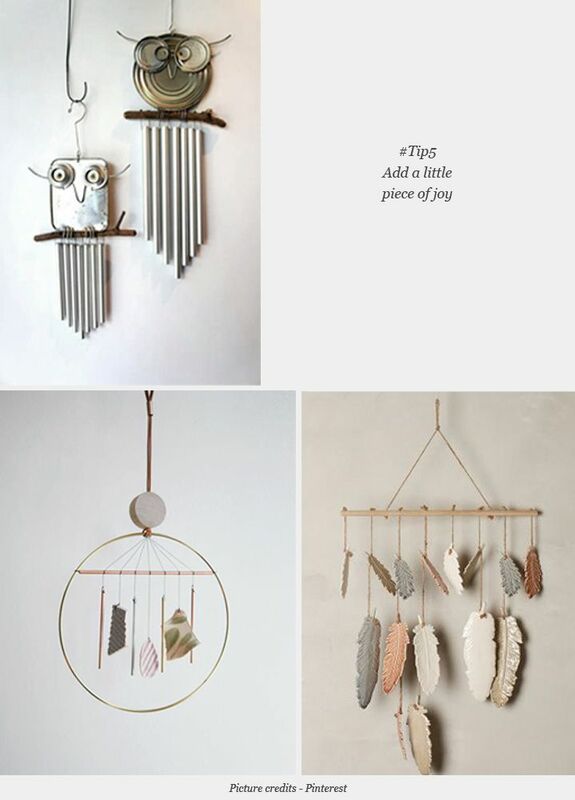 Adding wind chimes to the window pane will help you capture the unseen beauty of the season. The light tingling and chiming of the same with soft breezes will add a mystical touch to your day. 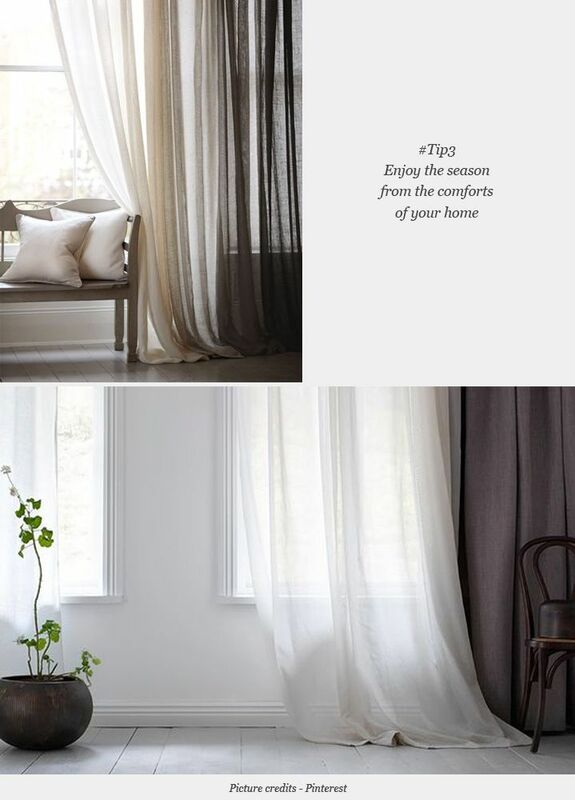 So sit by the windowpane, sip hot coffee or tea and enjoy the visual delight this season promises to bring!